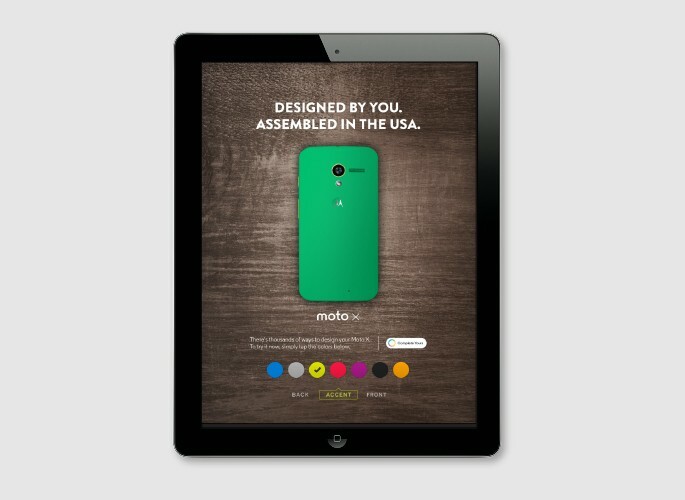 WIRED was tasked to generate buzz and position Motorola as a brand that allows you to express your personal style. 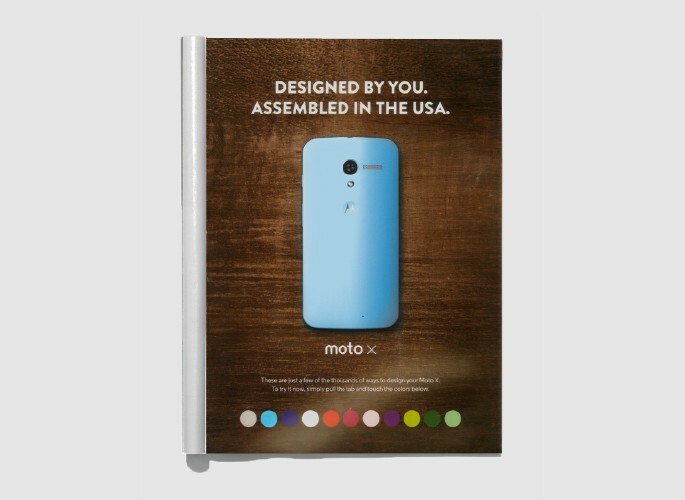 Digital: WIRED created a high impact opportunity through the use of LED technology that enabled readers to design their own Moto X by selecting from a row of provided colors. As readers pressed the different colors, the Moto X would light up in the corresponding color. Print: The custom print execution was extended to WIRED’s tablet edition.